There are a lot of details involved in preparing for the start of school. 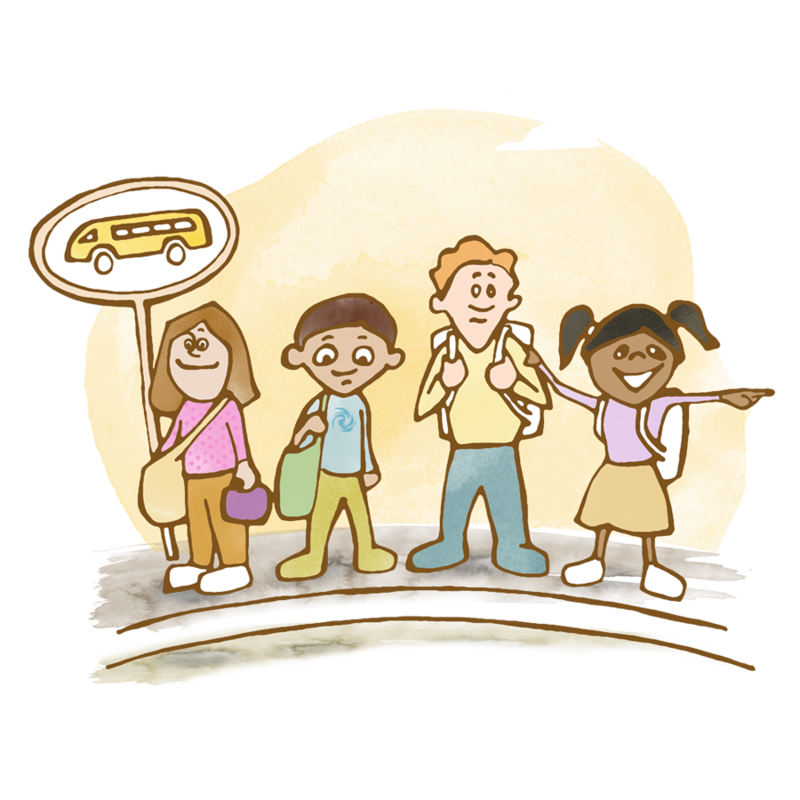 Whether it is your first time going to school or you are returning to the same school with the same friends, there are supplies, books, clothes, and schedules to attend to. We hope these stories will make that more enjoyable! It is back to school time, and brother and sister propose that they make a plan for their Day of Rest as well as the school year. When they realize how busy the next few months are going to be with festivals and holidays and all the changes in the season, Momma suggests they do a trial run. “Trial Run?” ask Martin and Sylvia. And that is when the fun begins! It is back to school time for Piper and Clancy, the two older Willowbee children. Clancy will now be attending first grade. He is sad about leaving Kindergarten and worried about what first grade will bring. The Willow Tree seems to understand this and takes the Willowbees to an island in the American south where an alligator, a white ibis and several ghost crabs show them something miraculous: the moment when a little loggerhead turtle crawls the difficult and courageous journey to the sea. Martin notices that Momma has several little files of note cards, and he wonders what they could be for. She explains that she caught the organizing bug when she was little and likes to make files of cards that tell her where everything is. Soon Martin and Sylvia catch the organizing bug too - but brother and sister have very different ways of organizing! In the So Many Fairies story, "Liza Jane and the Birch Tree" a young girl is suddenly uprooted, and comes to live in a new town with her kindly second cousin. With the help of a birch tree fairy named Watchful, she develops her own inner strength, so that she might claim happiness in the new situation. In the By Thistle By Thimble story "The Schoolmaster," a boy named Micajah is looking for a teacher. His family has moved many times: from Concord, New Hampshire to Buffalo, New York to Rapid City, South Dakota to Denver, Colorado and finally to San Mateo, California. In California, he attends the one-room school house of a teacher named Master Simon. Master Simon enraptures the class with a magical geography lesson that draws Micajah into the fold, and brings a sense of belonging to the whole class.